California's rich history is traced for young readers: from its origins as a sparsely populated outpost of the Spanish empire in the 16th century to the frenzied westward migration of the 1850s. Young readers encounter England's Sir Francis Drake, who claimed the west coast for England, calling the land New Albion, and learn how the state was eventually named for a mythical island inhabited by female warriors. 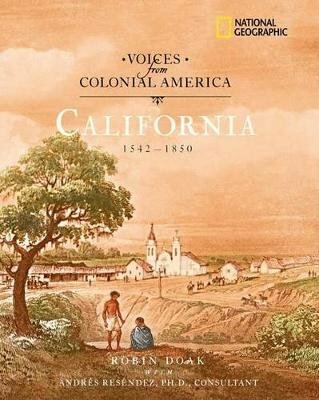 Readers also learn how Spanish priests and settlers founded powerful Jesuit missions and presidios; how more Indians died in California's missions than were saved; how Russia became a threat to Spanish control, establishing a fort on the West Coast in 1812; and how California was affected by Mexico's independence from Spanish rule. Finally, they experience the gold fever that propelled California towards its entry into the Union as the 31st state in 1850.